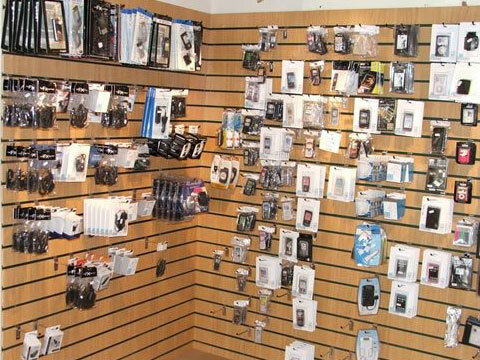 Mobile accessories could be lucrative segment for those who have started early as as the market can be vouched for high ROI and quick break-even, if invested wisely. With the growing number of mobile phone users, India continues to have largest consumer base for mobile phones and accessories. As per the latest findings of Telecom Regulatory Authority of India (TRAI), the number of mobile users in India is surpassing more than a billion which in-turn generates immense business opportunity for mobile accessories retailer. According to Future Market Insights, more than US$ 32 billion revenues have been amassed from sales of mobile phone accessories across the APAC region in 2016, Report also indicated that By the end of 2026, the mobile phone accessories market in India is anticipated to reach a value of US$ 3,545.0 million, registering expansion at a stellar CAGR of 10.4%. Products such as protective cases for mobile phones & smart phones, and audio gear such as headphones and earphones will continue to be top-selling mobile phone accessories in India. No doubt, mobile accessory is a very exciting segment for anybody who is looking to start a business with minimum capital. This business can be started with mere Rs.50, 000 and vouches high ROI and quick break-even. Moreover, with handful of organized players in the market, the competition is less compared to core mobile hand-set category. However, alike to every business, this business also has few challenges. Let’s shed light on few.. Going further Jain asserts maximum consumers in India prefer cheaper products because in case of quality products they have to pay more. Consumers want quality products in cheaper rates which is not possible. Many players which are into offline space cannot give good price and good quality because they have comply with custom duty, GST, etc. The same thing does not happen with unorganized sector. That is the reason unorganized segment is booming in mobile accessories segment. Most of the players operating in this segment are retailing either by online, mobile shops, electronic consumer durable shops, music shops, computer peripheral selling shops. There is hardly any player who operates via exclusive offline retail. By and large this segment is operating on local distributorship model. Highlighting the distribution, Navin Sharma, Head Sales & Marketing Portronics said, “We have a well-defined channel sales distribution setup across India, having more than 100 distributors and over 5000 satisfied retail partners. These business associates of our company are well versed and experienced and extending distribution far & wide in their assigned sales territories.” The company continuously conducts market research through its vast network of dealers & varied customer profile to understand the need & requirements so that new Innovative products may be introduced,” informed Navin. Though exclusive channel comes with its own set of challenges and may not be a feasible option for start-ups. “That is like having retail of our own at the moment we wish to focus on brand building and extending the reach, and if we get into retail at this moment, it will be very difficult to handle both. First, we want to capture the existing players well, once we feel we have sort of saturated them then we would like to go into our own retail also,” informed Komal. Return on investment is really descent in accessory segment; however, the only concern is constant investment as it is fast moving market where almost every day a new launch is taking place. Whenever a new mobile launches take place you have to get its accessory in well in advance. And, you have go by your own judgments/ predictions about the performance of that brand, and it is not easy to achieve the break even in three-four years. It will take at least five years in achieving the break even and earn some good profit. “This market is totally dependent on launches that mobile industry is making. If newly launch hand-set is not selling as expected then you stuck up with a lot of stock which is unmovable. You have to take a calculated risk to earn a profit from it,” informed Jain.